Pro Bono Supreme Court Attorneys | Goldstein & Russell, P.C. Individuals who were represented by an attorney in the court of appeals should ask their attorney to contact the firm about possible assistance in the Supreme Court. Ethics rules may prohibit us from speaking with a person who is already represented by another attorney and, in any case, it is generally more efficient and productive for the firm to communicate directly with your attorney. 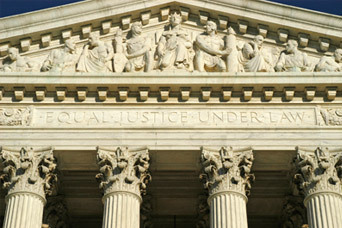 Individuals who do not have an attorney are asked to read carefully the information on the Supreme Court Criteria page before contacting the firm. We ask this not to be discouraging, but rather because we do not want to waste your (and our) time, or raise false hopes, if your case cannot meet the criteria for review by the Court. If, after reviewing this information, you believe your case is a strong candidate for Supreme Court review, please feel free to contact us about representation. Because of the volume of requests for representation that we receive, we ask that those interested in requesting assistance contact us by mail at the address at the bottom of this page. Please include a copy of the court of appeals, or state supreme court, decision that you would ask the Supreme Court to review, as well as your name and contact information. We will examine your case promptly and notify you whether we will be able to provide assistance in your case or not.